Ideal for cleaning in laboratories, photographic equipment and computers. Patented vector valve allows user to angle the blast 360 degree into places that would normally be inaccessible. 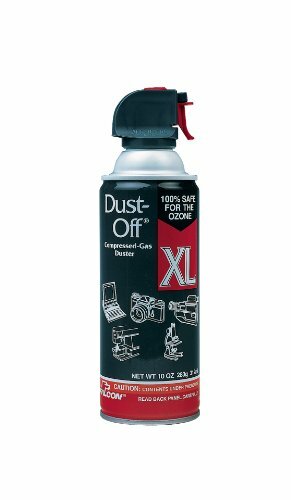 Dust-off XL disposable duster. Pure moisture free blasts. Extension tubes for precise dusting. Ideal for cleaning in laboratories, photographic equipment and computers. 10 oz canister.